UPDATE First impressions: Simple Audio HD multiroom hi-fi system | What Hi-Fi? We've been following the progress of Simple Audio for a couple of years now, waiting for this new start-up to bring its long-awaited high-resolution multiroom audio system to market. Well that time has finally arrived, and we took delivery of a pair of Simple Audio Roomplayers earlier this week. But before I go any further, here's a bit of background for those of you who haven't heard of Simple Audio before. The company was founded in 2008 by ex-Linn employees, headed by managing director Peter Murphy. He had a clear ambition: "to create a new high-definition sound system that would open up the world of digital music for everyone". Peter explains: "I wanted to create a new system that would deliver the very best quality audio possible, not only now, but in the future. I wanted it to be simple to use and simple to set up. It would have to be scalable too, capable of meeting my own music needs, or that of an entire family home. "What's more, I wanted it to be an affordable high-definition digital sound system without a high-end price tag, so everyone could benefit from the joy of experiencing the wonderful depth and richness of studio-quality music in their own home." That's quite some mission. The first thing Peter and the Simple Audio team decided was to use HomePlug AV Powerline technology to transmit music to different zones around the home, rather than wireless networks used by the likes of Sonos and AirPlay. Why? Because PowerLine technology is more robust, therefore minimising the dropout and sound quality problems often associated with wi-fi. The aim was to create a system that is simple to set up, distributing music via the mains electricity cables already installed in your home. The other key requirement was to make the system capable of playing everything from standard MP3 files to high-resolution 24-bit studio quality music. To that end, the system will handle MP3, AAC, WAV, AIFF, FLAC and Apple Lossless files, as well as internet radio. But not WMA or DRM files. You also get access to Deezer and WE7, plus Tunein internet radio, so you'll never be short of music to play. In addition to playing back music from your iTunes library and internet music services, it will also handle music from attached devices such as an iPod or iPhone via the 3.5mm jack on the front. There's also a free iOS control app for your iPhone or iPad, although it hasn't yet been optimised for the iPad's larger screen as shown in the publicity photo above – that development is 'in the pipeline' I'm told. OK, it's time to get the system up and running. Our set-up arrived in two plain brown cardboard boxes, each one containing a Roomplayer 1. Inside the box you get all the basic cables you need: mains lead, phono-to-phono cable, phono-to-3.5mm lead, 3.5mm-to-3.5mm lead and ethernet cable (below). As you'll see from the picture below, connections include line input/output phono sockets, a front-mounted line in socket, USB terminal, optical and electrical digital outputs, subwoofer out and headphone socket. Set-up, in theory, is simple: you connect a pair of speakers to the Roomplayer, run an ethernet cable to your broadband router and connect to the mains. That's the option I chose, as my router is right beside my desk. However, if your router is a long way from the Roomplayer there is a second option: connect a 200Mbps HomePlug to your router using the supplied ethernet cable, and plug into a mains socket. You then need to 'pair' your Roomplayer with the Homeplug by following a sequence of button pushes on the player and Homeplug. Once that's done, download the desktop control software to your Mac/PC and follow the instructions. Finally, if you have an iOS device, go to the Apple App Store and download the Simple Audio app. The control software wizard was easy to use and took me through a simple step-by-step process, allowing me to give the Roomplayer a name, adjust its settings and import my iTunes library, all with a minimum of fuss. The next step was to create a second zone, this time in the kitchen. This is where things got a bit more complicated. I placed the second Roomplayer on the kitchen sideboard, hooked up a pair of Acoustic Energy speakers and connected the unit to the mains. So far so simple. To pair the second Roomplayer with the master unit, you have to first press the 'pairing' button on the right-hand side of the second unit for 10 seconds or more (I found it took at least 20) until the green light on the front flashes. Then pop into the room where your first 'master' Roomplayer resides, press the pairing button for a couple of seconds until the green light starts flashing. You then have two minutes to go back to the second Roomplayer, press the pairing button again and the two units should connect to each other. You'll know if it works because a small orange LED on the back panel above the ethernet socket will illuminate, indicating that the secondary unit has paired with the first. Anyone who's set up a Sonos system will be familiar with the process. It took me a couple of attempts to get the two Roomplayers to pair with each other, and eventually I had to run the kitchen unit via an extension cable (not something that Simple Audio recommends incidentally) to a different mains socket in the room. Unfortunately, it wouldn't pair with the master unit when plugged in to the electrical socket located conveniently by the kitchen sideboard, but would when using the socket on the other side of the room. That problem overcome, I added some hi-res 24-bit FLAC audio files that I'd downloaded from the B&W Society of Sound website to my music library. These included LSO/Valery Gergiev recordings of Mahler's Symphony No.3 and Rachmaninov's Symphonic Dances. Finally I was good to go. Certainly the system had no problem handling those hi-res FLAC files, as well as Apple Lossless tracks I already had on iTunes. Running a simple two-zone system I can choose different music to play from my library in each room, using either my iMac or iPhone to control the selection of tracks, playlists, volume and so on. However, there doesn't seem to be a simple way to choose to play the same music in all zones simultaneously, which would be handy. But I can have Radio 2 playing in the kitchen, while the other half listens to Mahler in the study, so no more arguments about who listens to what. As for reliability, so far I've noticed some issues with the control software: on several occasions, for example, both the iPhone app and desktop controller 'lost' the kitchen zone (even though the orange light was still showing) and I had to reboot the system to get it back. And the connection between the two Roomplayers has proved less than robust, with the orange light on the back of the kitchen unit sometimes going out and again requiring a reboot and then I've had to go through the whole 'pairing' process all over again. Internet radio can occasionally be a bit flaky too. This morning, all my radio 'favourites' had disappeared, and when I went back in to the Tunein part of the app, only Radio 3 was showing. All the BBC stations did eventually re-appear, but then I had to reload them into my favourites folder. Not disastrous, just mildly annoying. In recent weeks Simple Audio has issued a couple of software updates which bring a number of improvements, adding Twonky media server playback, the aformentioned Deezer music streaming service and activating the digital out, so you can now add an external DAC should you so wish. Hi-fi enthusiasts will appreciate that. This morning it added a minor update to the PC client software to fix a couple of minor bugs. I suspect there'll be a few more updates to come. Of course the biggest advantage that the Simple Audio system has over rivals such as Sonos and AirPlay is its ability to play high-resolution 24-bit/96kHz files for optimum sound quality. I'll leave any comment on that for the full review. We've now carried out testing of two further Roomplayer IIs, supplied for formal review, in our test rooms. Unfortunately the What Hi-Fi? Sound and Vision test team experienced similar issues with pairing the two units, some bugs in the software and we couldn't get the front line-in to play music from an iPhone or iPad. Given the problems we've encountered, we've decided to postpone the review and have sent all four Roomplayers back to Simple Audio for further evaluation. We'll report back once we've had a response from the manufacturer. 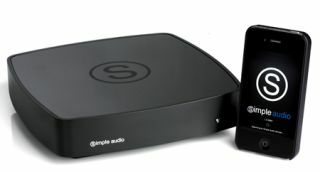 "Simple Audio very much welcomes whathifi.com’s pre-review comments and was interested in the early results. Today we visited the What Hi-fi? Sound and Vision office and had a very constructive meeting with the editorial team. "The particular issues raised by the WHF? S&V team are unusual so we have taken the two review products back to our base for detailed inspection. We will report back to WHF? S&V and intend to return to their test centre to check the testing environment in order to complete our investigations. "We have recently submitted products for review in other markets and have just had a very positive and detailed review in Audio magazine in Germany. We were delighted to have our Roomplayer ll included in their top 'Reference Audio' category – alongside products that retail at considerably higher price points. "That magazine didn't encounter any installation issues so maybe we have a product or demonstration room specific issue with WHF? S&V. Whatever it is, we will find it! "Like every new manufacturer we have had various small issues flagged up to us during the launch phase of our products and our engineering and design teams will continue to use their best endeavours to address any problems raised. "We look forward to a full product review of our system being available to WHF? S&V readers in the near future!"